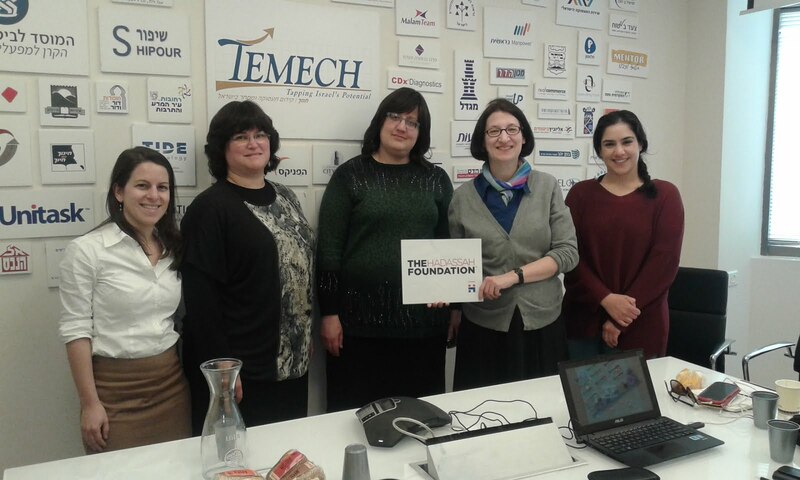 One of the Foundation's newest grantees is Presentense in Jerusalem, which is helping ultra-Orthodox women create or expand their own businesses. Presentense is working with another nonprofit, Temech (staff from both groups are pictured above), to adapt its successful business incubator program to the needs of this population. In some cases, the women develop programs and services specifically targeted to their own community, e.g. a toy rental program for early-childhood programs.